The answer to every dog owner's prayer - a way to protect your pet in the back seat while you drive, keeping him/her off you, too. This is by far the best and the cheapest. It snaps right into the seat belt receptacle. 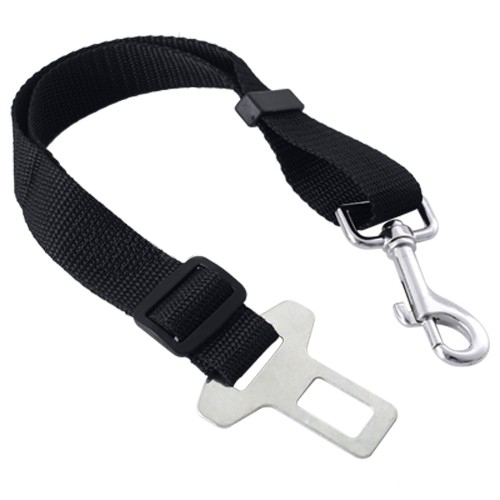 It easily latches in to your dog's existing harness and clips directly into the car seat buckle. It's such a great product - buying more for yourself and as gifts! 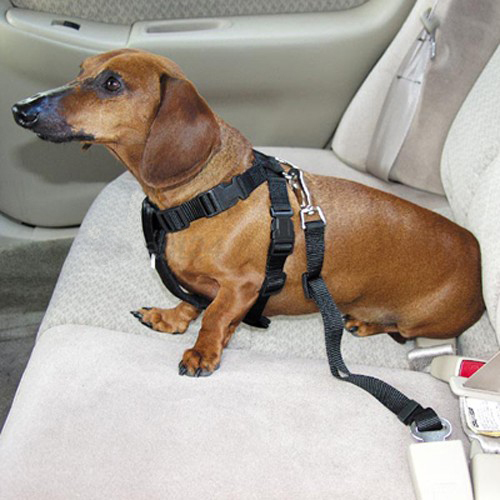 1 x Adjustable Pet Dog Safety Lead Car Seat Belt. Don't forget to purchase an Universal Fit Car Dog Pet Seat Safety Belt Harness to secure your pet in the car! Click the button below to add the Adjustable Dog Pet Harness Car Seat Safety Belt Clip to your wish list.